Box of twelve bottles of 250 ml. 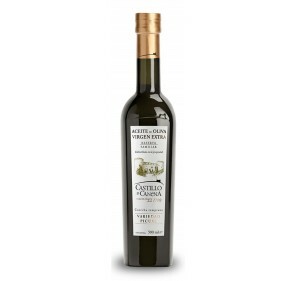 Extra virgin olive oil Castillo de Canena Family Reserve of the Arbequina variety. In the nose is a medium-intense fruity of green olive, with complementary aromas that remind us of fruit compote, banana, apple, peach and quince; Light herbaceous touches. Balanced and harmonious. Almond-shaped retrograde. Castillo de Canena. Horecca box. Three bottles box. Combine them as more you like it. 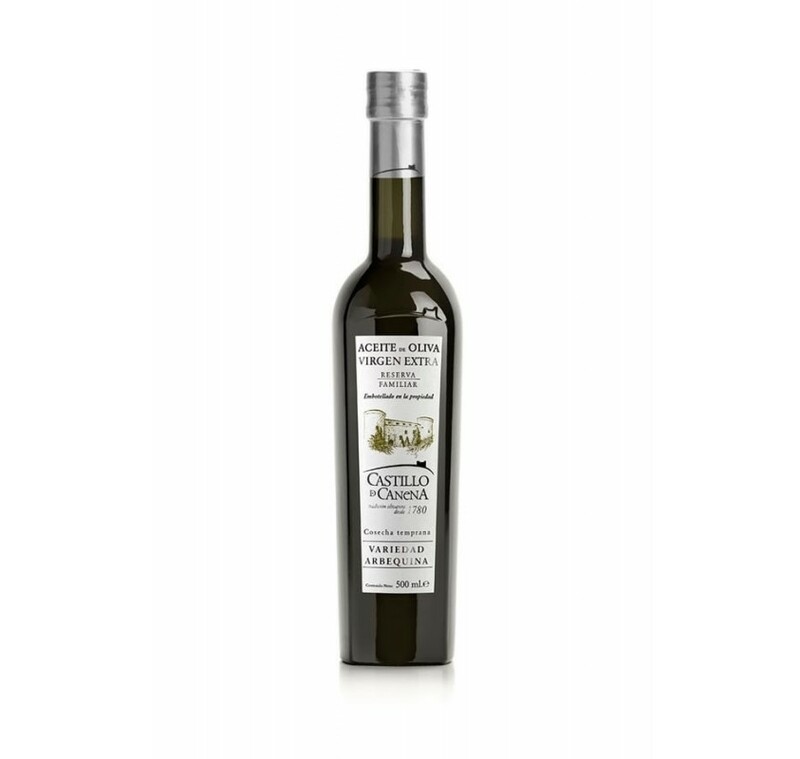 Extra virgin olive oil Castillo de Canena. 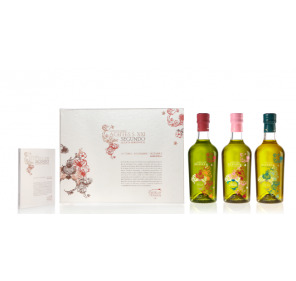 Box Picual biodynamic.. 500 ml. Extra virgin olive oil, Castillo de Canena. Box biodynamic picual variety. 500 ml. Castillo de Canena, Extra virgin olive oil. Early Royal box. Extra virgin olive oil box, Castillo de Canena. 500ml bottle. Royal variety. Extra virgin oilve oil, Castillo de Canena. Arbequina variety. Smoked to the oak.Box with two 250ml smoked oil bottle and one recipes book. Extra virgin oilve oil, Castillo de Canena. Arbequina variety. Smoked to the oak. 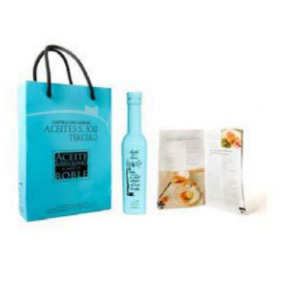 Gift bag includes 1 250 smoked oil bottle and one recipes book. Extra virgin olive oil, Castillo de Canena. 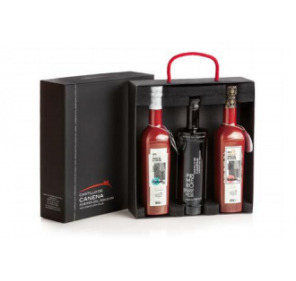 Horizontal tasting box.3X375ml bottles. Arbequina variety. International recipes´book. 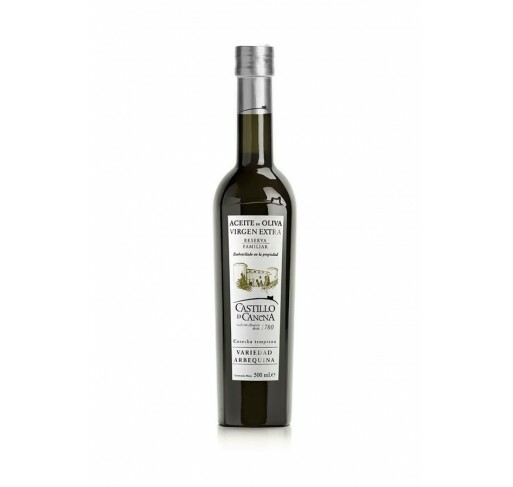 Castillo de Canena, Extra virgin olive oil. First day of crop. Oakwood box. Extra virgin olive oil, Castillo de Canena. First day of crop. Oakwood box. Two 500 ml bottles. Picual and arbequina varieties. Extra virgin olive oil, Castillo de Canena. First day of crop. Pinewood box. Two 500 ml bottles. Picual and arbequina varieties.